China was the first international market that Flipboard moved into and, with the new additions, now the company is now aiming to reach 5 million users in the country this year, according to a local report from Do News [translated]. The country is hugely important for Flipboard. While the company has introduced local curated news to a number of markets, Chinese users are the only ones to get an entirely localized version. This Chinese version, which initially launched for iPad only in December, includes Chinese media, news, social media integration and Chinese language navigation. Now the recent addition of support for the iPhone greatly widens its reach in the planet’s biggest smartphone market. Although the new iPad is yet to launch in China, Apple is estimated to have sold 4 million of the first two generations of the tablet, but that impressive number is dwarfed by the iPhone. China Mobile alone has 15 million iPhone users, despite no Apple partnership, while China Unicom is expected to sell 15 million devices this year. Even China Telecom, the smallest of the three, captured more than 200,000 pre-orders when it launched the iPhone 4S earlier this month. Alvin Tse, who heads up Flipboard’s China division, explains that its efforts China have necessitated a more dedicated approach than any other market, and it is adopting a distinctly local approach. The company initially hoped to use existing relationships with content providers in the US to agreements in China, however it has been forced to strike out many of its own deals, Tse says. The company has more than 70 such partnerships in the US, and is working to extend its content provider list in China, according to Eric Alexander, who heads up the company business development division and is pictured below with Tse. In addition to partnerships with some of China’s most influential media, Flipboard has linked up with hugely popular microblogging service Sina Weibo. 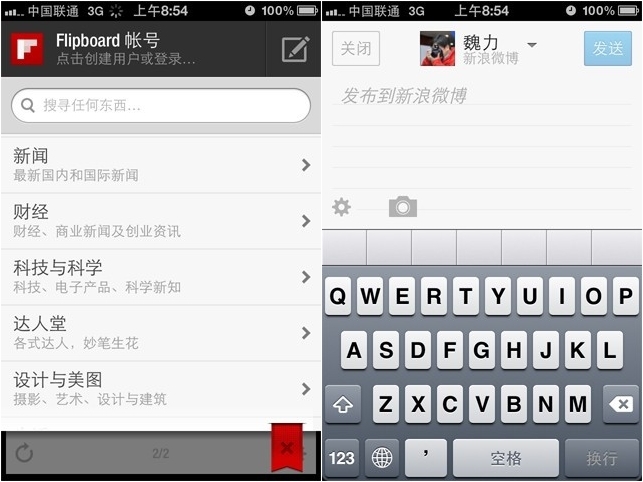 Users can enjoy Twitter-like functionality with Weibo — including the option to ‘tweet’ out stories — but the collaboration runs deeper. The duo have pledged to share resources and their collaboration will help boost each other’s services through integration between the two products. Tse told China Daily that the tie-up will help give the service “a bigger presence” in the country but it is significant for Sina too. The link-up came after its CEO Charles Chao visited Flipboard in the US to explore potential for a collaborations. Chao, who was an avid ‘Flipboarder’ before the Chinese version launched, sees mutual benefit for both firms. Being available on iPhone only has not curtained Flipboard’s progress in many Western markets, with its exclusivity a major hat tip to Apple’s smartphone. However, in China, where Apple is a niche still, its narrow support for devices further complicates its challenge. According to Statcounter, there are twice as many Android smartphones than iPhones in the country and, with sales and shipments continuing to grow, the Google-owned platform is likely to overtake Symbian as the most active smartphone OS this year. 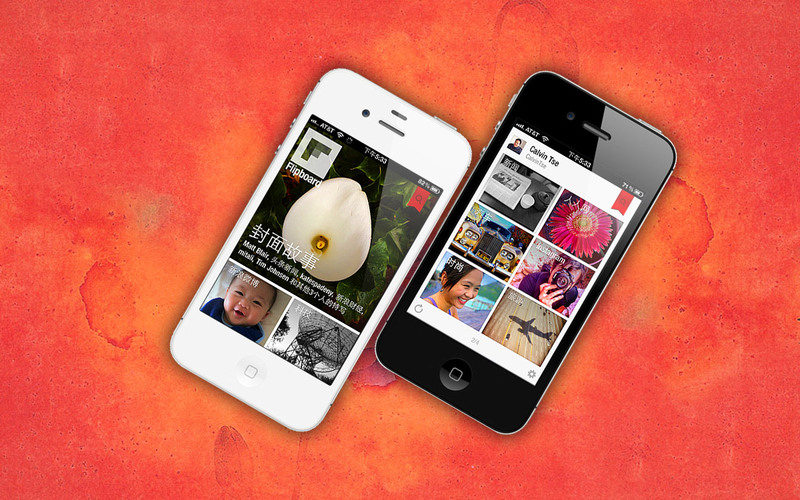 Flipboard has consistently said it would not develop but such a move would massively increase its reach in China. When asked directly about Android, Tse says that the company is not considering the possibility at this stage but, if it is to conquer China, Android may be a necessity in the long run.